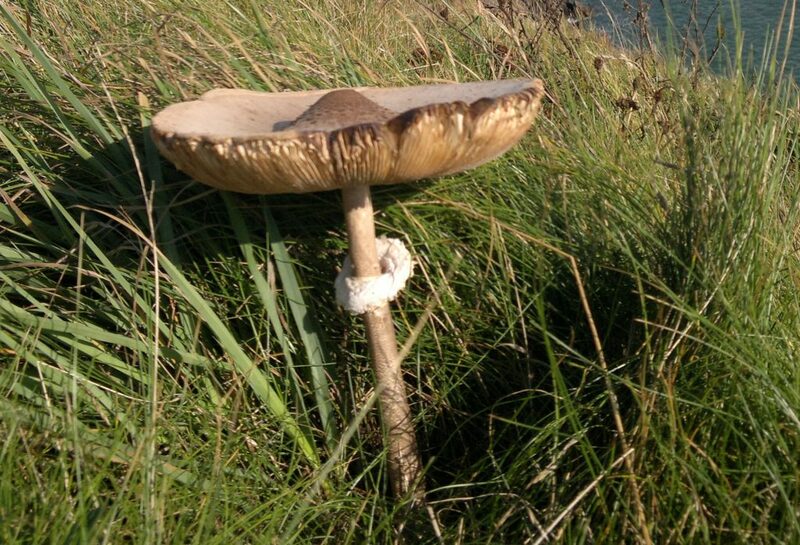 Parasol and Shaggy Parasol mushroom – Edibility, Distribution, Identification. Edibility – 5/5 – fry caps whole in butter, batter and deep fry, stuff and roast drumsticks. Stipes tough and fibrous – use in stock pot. Identification – 4/5 – the most beautiful and striking of all wild mushrooms. Cap 15-35cm, cream with concentric brown scales, central umbo; Stipe up to 35cm, pale with dense brown ‘snakeskin’ pattern, bulbous base and prominent moveable double ring; Gills cream/white; flesh unchangingly white. Be aware that there are some highly toxic members of the leptiota family, including the fatal dapplerling (Lepiota brunneoincarnata). This is blissfully quite scarce in the UK, growing in forests and lacking a ring on the stipe. Stick closely to the identification features listed above, and you won’t go wrong. Distribution – 2/5 – very enigmatic and seldom in groups of more than 3 when I find them in Galloway. More common and gregarious further south. 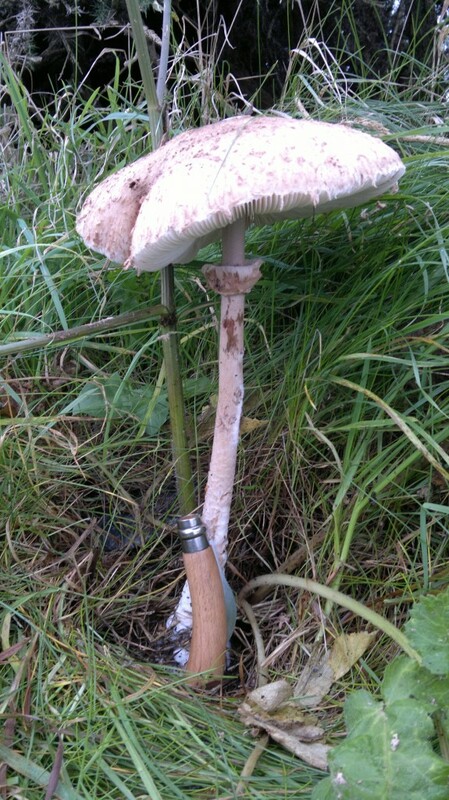 Parasol Mushroom, Macrolepiota procera. Note the snakeskin patterns and elaborate, moveable ring on the stem. These are visually stunning mushrooms and almost as good gastronomically, made all the more special by their relative scarcity – I seldom find more than a handful a year. You don’t need to find many though – they can grow very large. 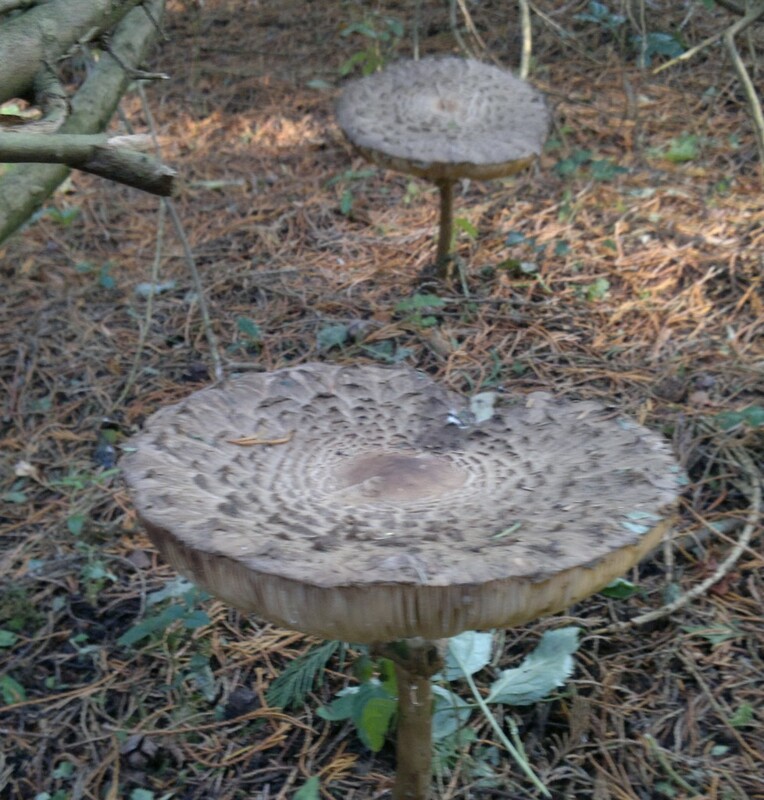 The one below was 45cm tall and 35cm across the cap! 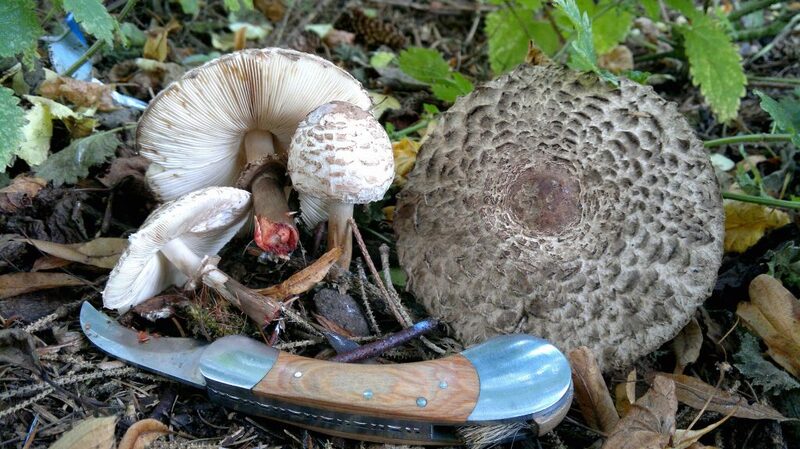 If you think you have found a parasol, but it is smaller, darker, shaggier-looking on the cap, lacking the snakeskin pattern on the stipe, and stains red when you cut the base, you may have found the related shaggy parasol, Chlorophyllum rhacodes. Although not quite in the same league as its big cousin, it is also a fine edible mushroom, though it doesn’t agree with some people. 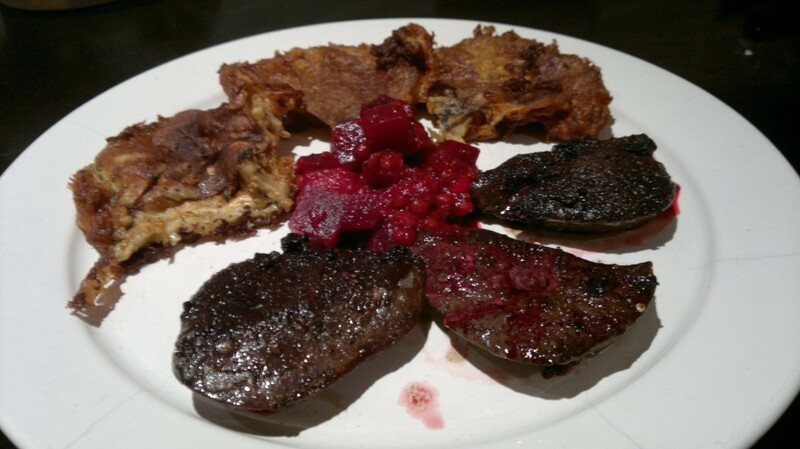 To be sure its for you, eat just a small amount, well cooked, the first time you try it. 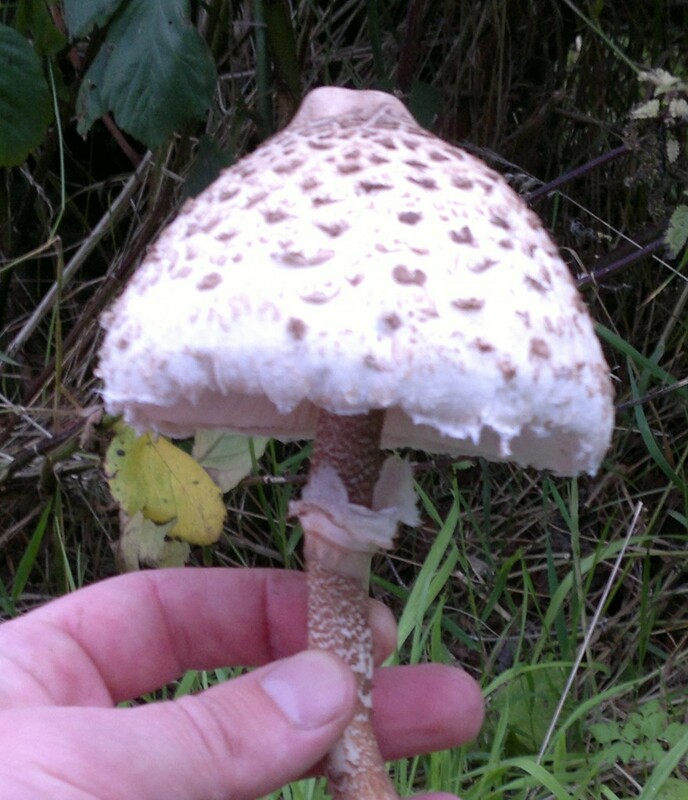 It is more of a lurker than the true parasol, often found in hedgerows and shady spots under trees on rich soil. 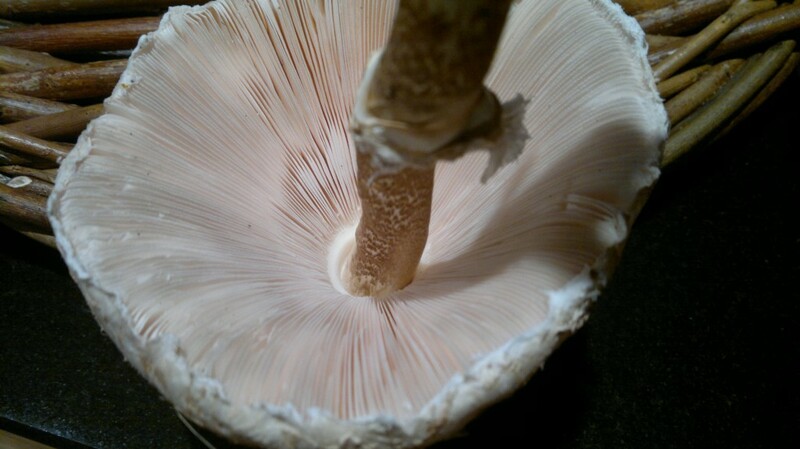 Shaggy parasol, Chlorophyllum rhacodes. Note the red discolouration of the cut stipe. Parasols have a symbiotic relationship with red ants, the ones that make ant hills. If you find ant hills you should be able to find parasols. If you manage to find ant hills but no parasols then you can do them a big favour be feeding them small pieces of parasol which they take down into their hill to farm. You can use bought sporn as well but. Unfortunatly sporn is usaly on grain which rats and birds love to eat too so cuver well with some grass and wire netting to keep the rats off. They don’t actually eat the mysilium or the mushrooms, rather the use it as a sort of antibiotic. I can remember reading this but can’t remember where so can’t give you the link. Thanks Mike, that’s fascinating. There is some interesting work going on just now researching the relationship between bees and mycelium. See here: https://www.youtube.com/watch?v=DAw_Zzge49c. I’m sure ants are using fungi in similar ways. I think I found one on someone’s lawn. And it meets ur requirements and the mushroom guide books Id requirements. Just nervous about cutting it and eating it. It’s my first time picking mushrooms . I get like this Cheryl. I sort of reluctance even though you know deep down you have the right find.